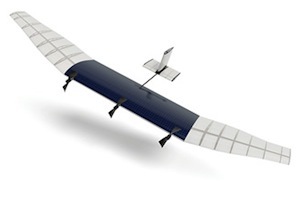 Facebook CEO Mark Zuckerberg shed some light on the company’s acquisition of drone-maker Titan Aerospace, announcing the launch of Facebook’s Connectivity Lab. This organization will further the efforts of Internet.org, which Facebook started last year in an effort to connect underserved populations to the internet. The engineering talent behind the Open Compute Project has combined with the team from Ascenta, a U.K.-based company specializing in high-altitude long-endurance (HALE) aircraft. Members of NASA’s Jet Propulsion Laboratory, NASA’s Ames Research Center and the National Optical Astronomy Observatory have also joined the Connectivity Lab. Our goal with Internet.org is to make affordable access to basic internet services available to every person in the world. We’ve made good progress so far. Over the past year, our work in the Philippines and Paraguay alone has doubled the number of people using mobile data with the operators we’ve partnered with, helping 3 million new people access the internet. We’re going to continue building these partnerships, but connecting the whole world will require inventing new technology too. That’s what our Connectivity Lab focuses on, and there’s a lot more exciting work to do here. For suburban areas in limited geographical regions, we’ve been working on solar-powered high altitude, long endurance aircraft that can stay aloft for months, be quickly deployed and deliver reliable internet connections. For lower density areas, low-Earth orbit and geosynchronous satellites can beam internet access to the ground. For all of these systems, the team is looking at Free-space optical communication, or FSO, is a way of using light to transmit data through space using invisible, infrared laser beams. FSO is a promising technology that potentially allows us to dramatically boost the speed of internet connections provided by satellites and drones.